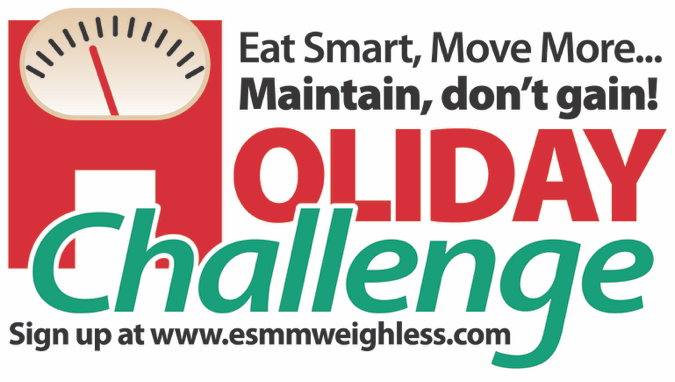 Join the 2018 Eat Smart, Move More Maintain Don’t Gain Holiday Challenge! This year we are offering the challenge through the Duplin County Extension Office! Weekly weigh-ins, nutrition tips, and weekly incentives will be provided to those who choose to participate in the challenge. Challenge begins Monday, November 12th – December 31st. This holiday season, the only thing that should be “stuffed” is the turkey. Many Americans gain between 1 and 5 pounds each holiday season. While it might not sound like much, most people never manage to lose those extra pounds. Rather than focusing on trying to lose weight, this FREE seven-week challenge provides participants with tips, tricks, and ideas to help maintain you weight through the holiday season. Call 910-296-2143 to register. You may also sign up online at https://esmmweighless.com/sign/ but make sure you inform us so we can include you in the incentives! Weigh-ins will be Monday-Friday during office hours, 8 a.m. – 5 p.m. All weigh-ins will be held at the Duplin County Extension Office. Make sure to call 910-296-2143 to register! For questions regarding the Holiday Challenge, contact Sydney Johnson, Sydney_johnson@ncsu.edu.